Dynamite’s Equine TNT is an unparalleled feed supplement. The formula for this well-rounded product is based on decades of experience in holistic animal nutrition. TNT is an all-in-one pellet, that is easy-to-feed, and is the basis of our Equine Foundational Program that also includes Dyna Pro®, and all four Free Choice Minerals (1 to 1, 2 to 1, Izmine and NTM Salt). Each 1-1/3 cup of TNT contains a synergistic combination of Dynamite, Easy Balance, Izmine, Free & Easy, Excel, and HES. The philosophy behind TNT is to supply a superior supplement that focuses on overall nutrition for the animal while also offering extra nutritional support that targets certain areas of concern. TNT embodies Dynamite’s belief in a holistic approach to animal nutrition and is a synergistic combination of ingredients designed to support over-all health including joints, digestion, immune system and metabolic processes. Because of the way the ingredients are balanced, TNT is appropriate for a wide variety of needs including high-performance, breeding and lactating mares, growth and geriatric animals. TNT can also be used with inactive horses to help maintain healthy muscle mass. We have an archive of TNT success stories that range from increased competitive edge and focus, to amazing breeding results, and even improved hoof growth and bloom. TNT is a state-of-the-art balanced formula. Its foundation block is Dynamite’s original “bloodbuilder” formula, Dynamite® for Horses, that has been the industry standard at racetracks for decades. It contains enzymes, coenzymes, biocatalyst microorganism, amino acids, cultured gut bacteria, vitamins, and bioavailable minerals. This product contains the proper protein and fat ratio (25% protein and 8% fat) found in our High Energy Supplement (or HES) Pellets. The fat is in the form of whole extruded soybeans that are expeller processed without any of the typical chemical distillates. For more information about what this means to your horse, check out our story Not All Soybeans Are Created Equal. Joints are a common concern for horse owners. High performing horses need to maintain joint health. TNT’s formula specifically addresses joint maintenance and support. The ingredients support joint, cartilage, and ligament health and targeted nutrients for joint health are formulated for synergy. This means that the whole affect is greater than the sum of its parts. We have heard countless success stories of owners using TNT to balance out their animal’s nutritional profile and achieving great results with joint health. If your horse has acute joint needs ask your independent distributor about additional supplementation with Dynamite’s Free & Easy product. TNT’s formula contains a full spectrum of ingredients to help support healthy metabolic balance including supporting normal blood sugar and thyroid levels as well as maintaining strong endocrine and nervous systems. TNT uses a unique combination of chelated magnesium, highly absorbable chromium, organic cinnamon and other natural ingredients. The magnesium supplementation provided in TNT naturally supports mind and muscle relaxation. Think “twitchy” mare and you’ll understand why magnesium is essential. If additional metabolic support is needed for your horse ask your independent distributor if they would recommend supplementing your horse with Dynamite’s Easy Balance. If you want to get one of Dynamite’s most raving fans up on their soapbox just ask them about digestion and gut health. Proper gut health is essential for nutrient assimilation. Keeping your animal’s digestive tract in tip top shape gives you your full “money’s worth” when using Dynamite products. TNT’s all-in-one formula contains ingredients that are digestion catalysts. These same ingredients help your horse manage what has now become standard exposures to environmental toxins and gut pH-disrupters. If your horse is in need of extra digestive assistance, ask your independent distributor about top-dressing their feed with Excel. One of TNT’s ingredients is Izmine. This is one of the four Free Choice Minerals we recommend for all horses and is part of the Equine Foundation Program. Izmine provides trace minerals, electrolytes and has detoxifying properties. As mentioned above, horses are exposed to many environmental toxins that are beyond our control. Proactively defending against these toxins is a wonderful maintenance tool for optimal health. Since 2002, TNT has been a staple in the Dynamite Equine line of products. 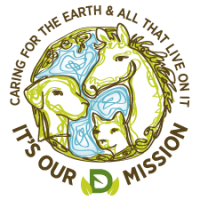 Our vision is to improve the health of all creatures and our success is measured solely on the number of animals we have helped to a higher level of vitality and health. It’s a shining star for its complete package of healthful, helpful, holistic ingredients. 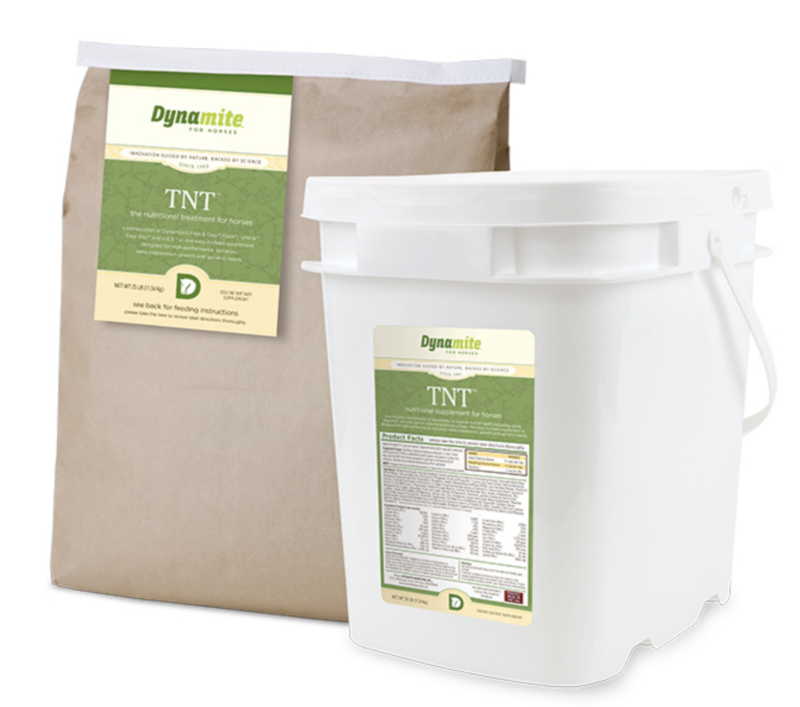 We encourage you to talk with your independent Dynamite distributor about incorporating TNT into your equine daily feeding plan.